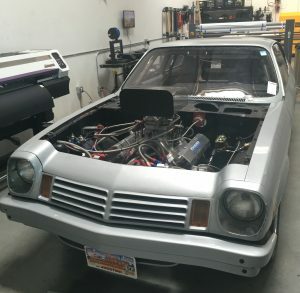 This 950hp Chevy Vega needed a color change and it needed to be done Quick! The owner of the Chevy Vega wanted to change the existing silver body to a clean all white matte color. 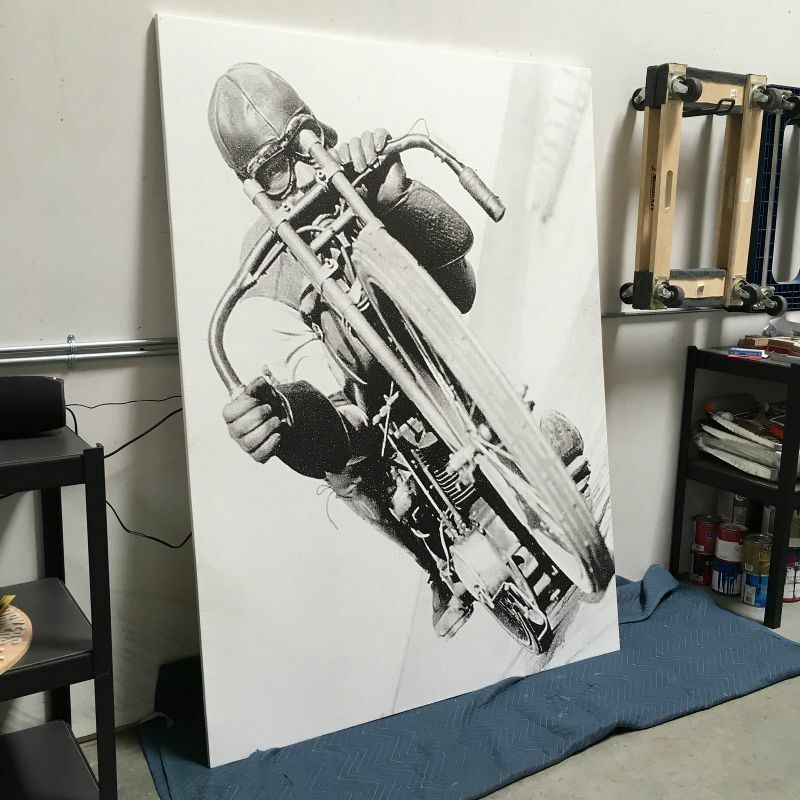 Graphics MFG was asked to have this completed within just one day turnaround time! 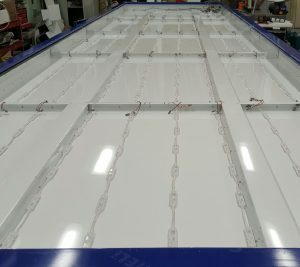 With only one day to complete this look we made sure the panels were laid out perfectly for a speedy and flawless install. The Chevy was ready to make its new appearance the same day it was dropped off. 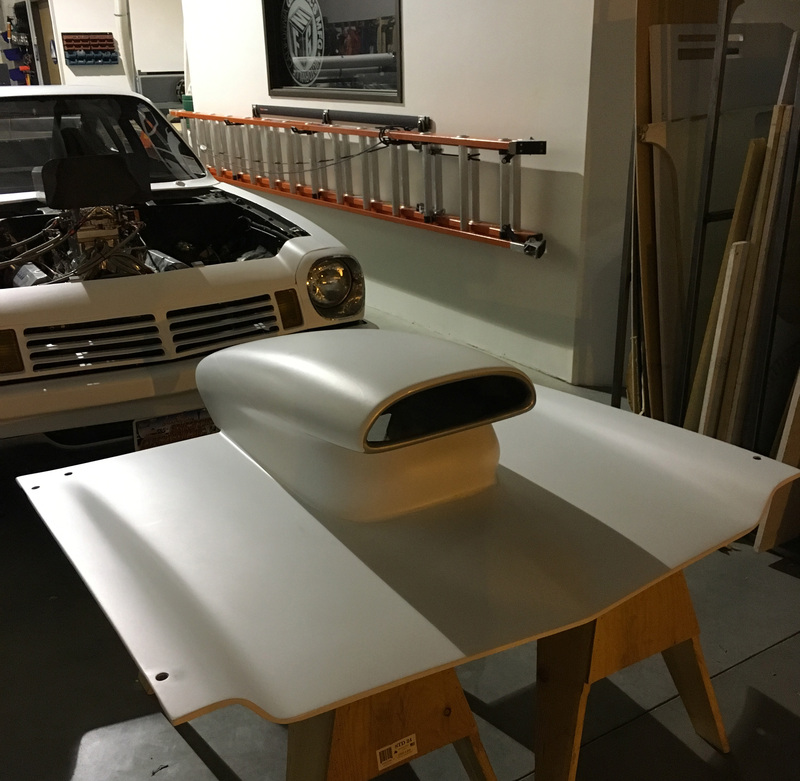 Graphics MFG can assist on any project ranging from ordinary to extraordinary. 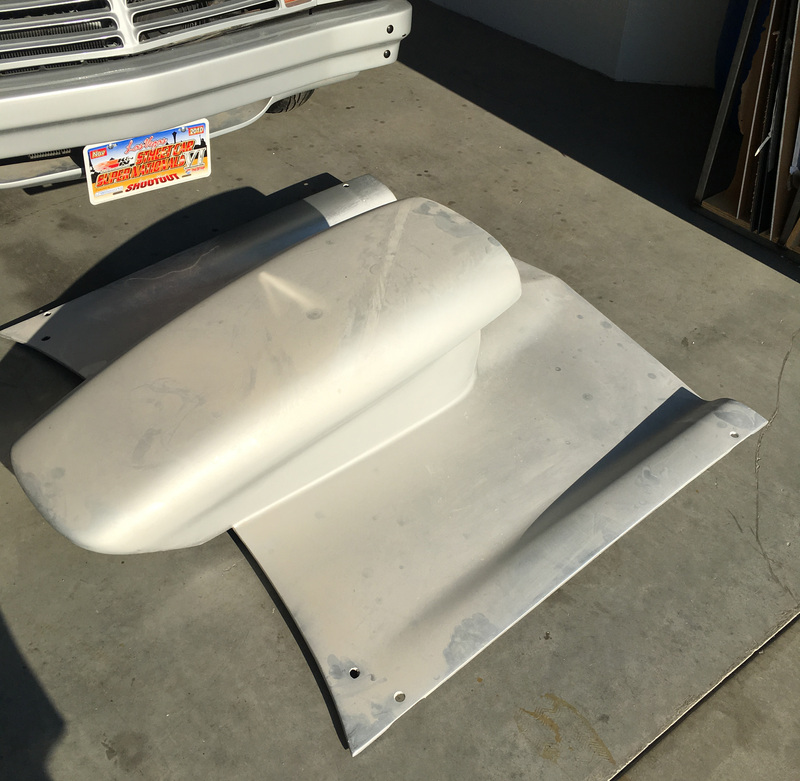 Bring us your custom piece and we can show you the professionalism involved to execute a quality product that you can take pride in. 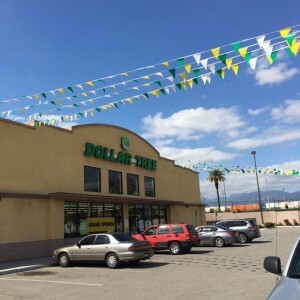 Call us today at 760.261.4358 for a free estimate! 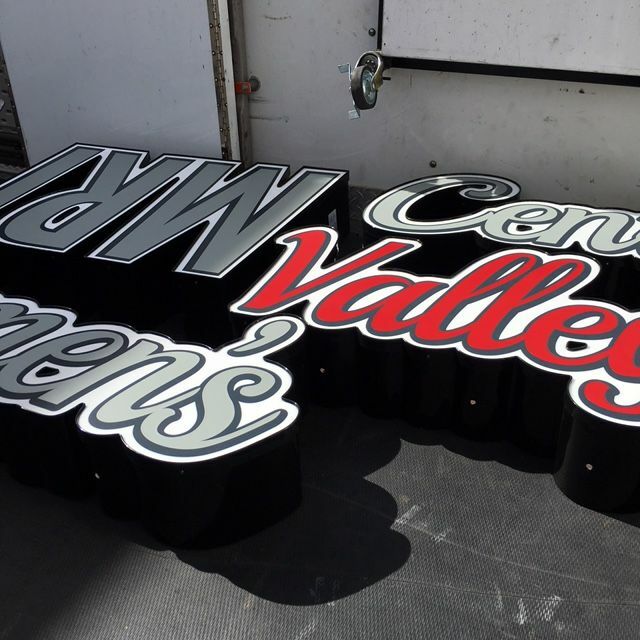 An oversized Light Box Sign can be challenging when thinking about the mounting, fabrication and installation. But at Graphics MFG we always think outside the box to accomplish what our clients are asking for. 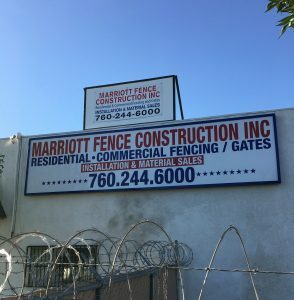 Marriott Fence wanted a behemoth sized LED Light Box Sign that spanned 5′ feet in height and 20′ feet in length to be installed on their new building located in Hesperia, CA. Graphics MFG worked with the client to achieve the design layout of the new light box sign. 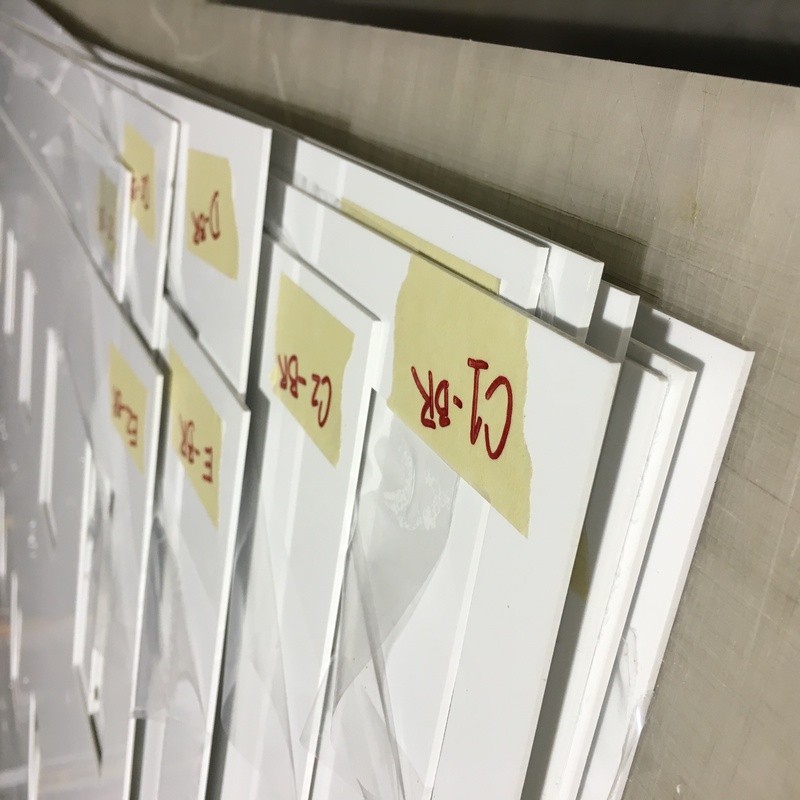 Once the design was completed Graphics MFG was faced with another challenge to cut the oversized Lexan sign material, as well as color matching the blue on the fabricated box that houses the signs face. With each challenge there was a solution to achieve the clients request. 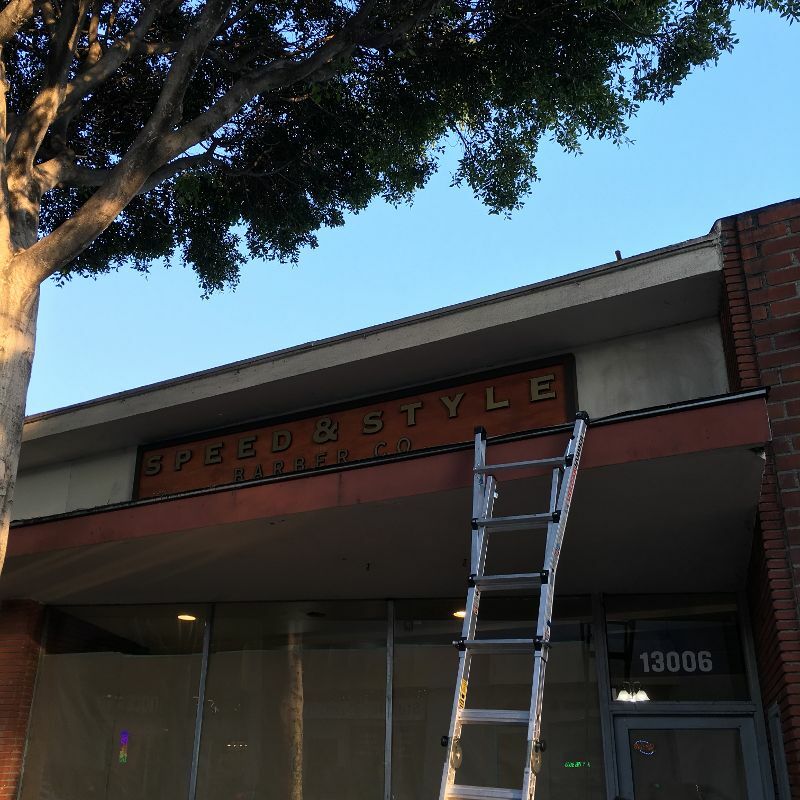 Part of exterior signage is getting your new sign approved with the city. 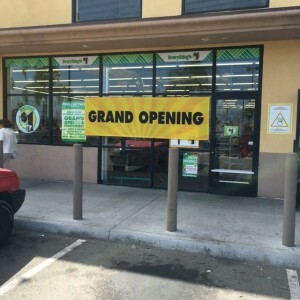 Graphics MFG handles this crucial step of obtaining the sign permit through the city since it can get confusing when dealing with the different sign requirements. 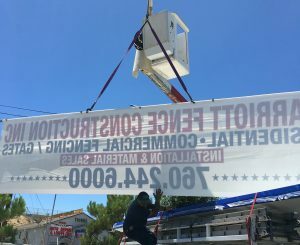 Once the sign permit was issued the sign was ready to be installed. 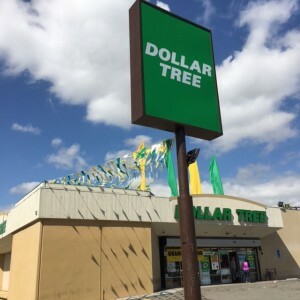 With the LED lights this monster sign shines bright in Hesperia, CA! Don’t let big projects overwhelm you, call Graphics MFG at 760.261.4358 for assistance! We specialize in oversized signs and are willing to think outside the box to accomplish your desired look. They say style is a way to say who you are without even speaking and Graphics MFG does just that! 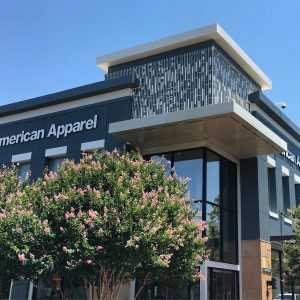 In order to make your business stand out from the rest we make sure our business has the style needed to stand out from our competitors. 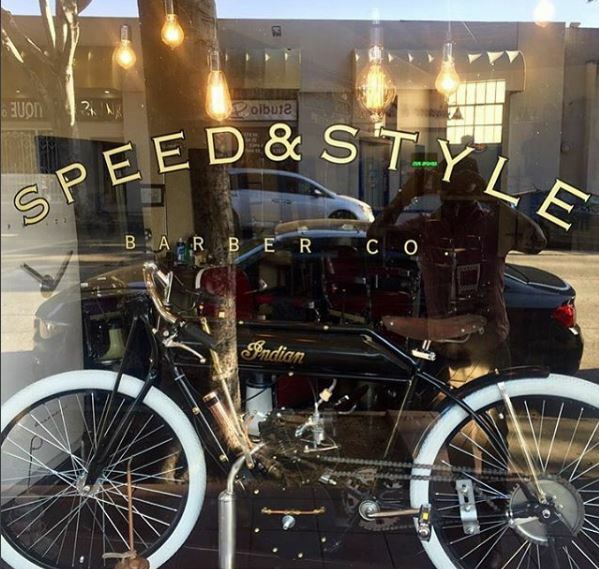 Speed and Style Barbershop, located in Whittier, CA. 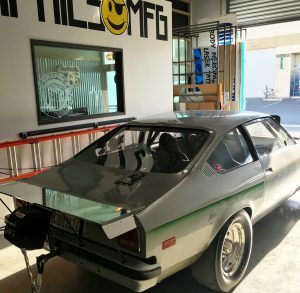 was opening their new barbershop with the style and design already in mind. 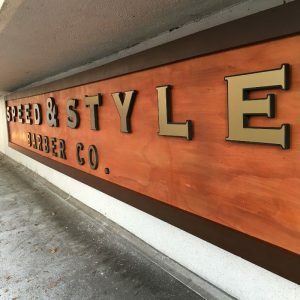 This barbershop wanted to offer “Timeless Traditions for the Modern Man.” A place where men could go to kick up their feet, talk about cars with the fellas… all while getting a quality hair cut. 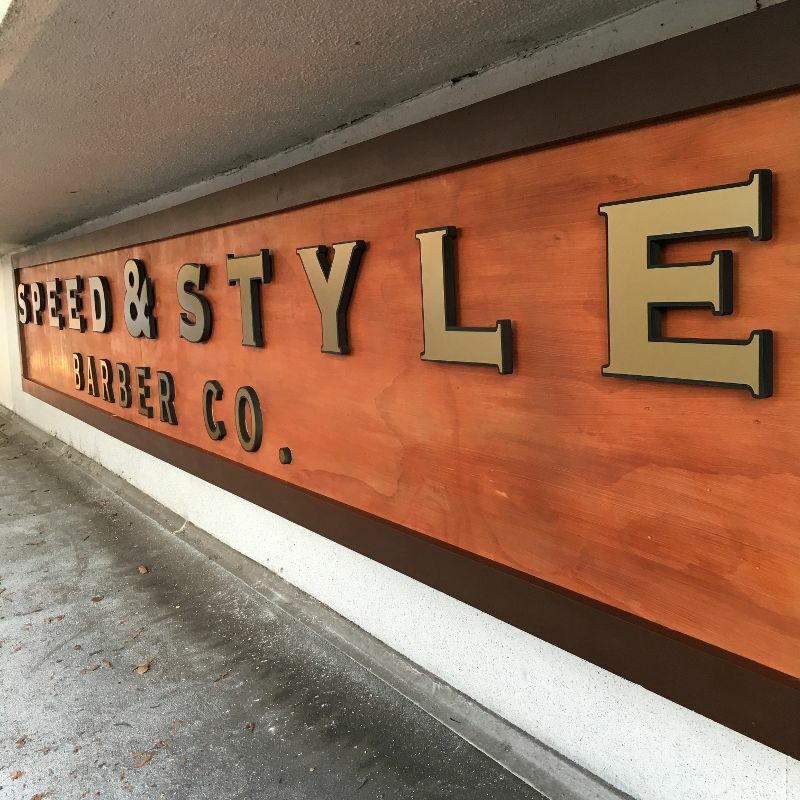 In order to complete this vintage and timeless look Graphics MFG created over-sized wall art canvases, wooden store front signage and metallic gold vinyl window decals for their store. 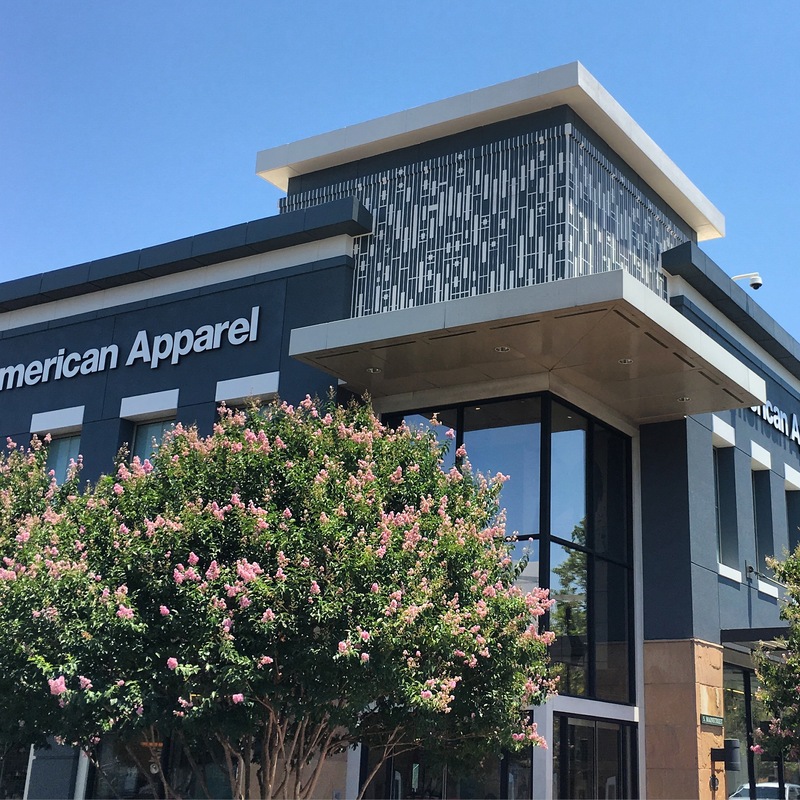 These guys knew what they wanted in regards to style, which made the execution of the design, production and installation a flawless finish! Congratulations to Speed and Style Barbershop on their Grand Opening! Super Speed and Strength was needed when making these character cut-outs and standees! These characters were no joke standing at 72″ tall. 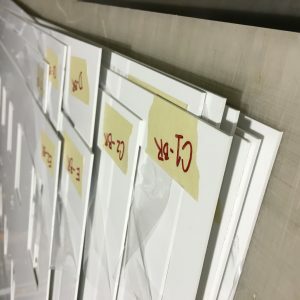 Graphics MFG was able to CNC Route each shape for the characters, in house. 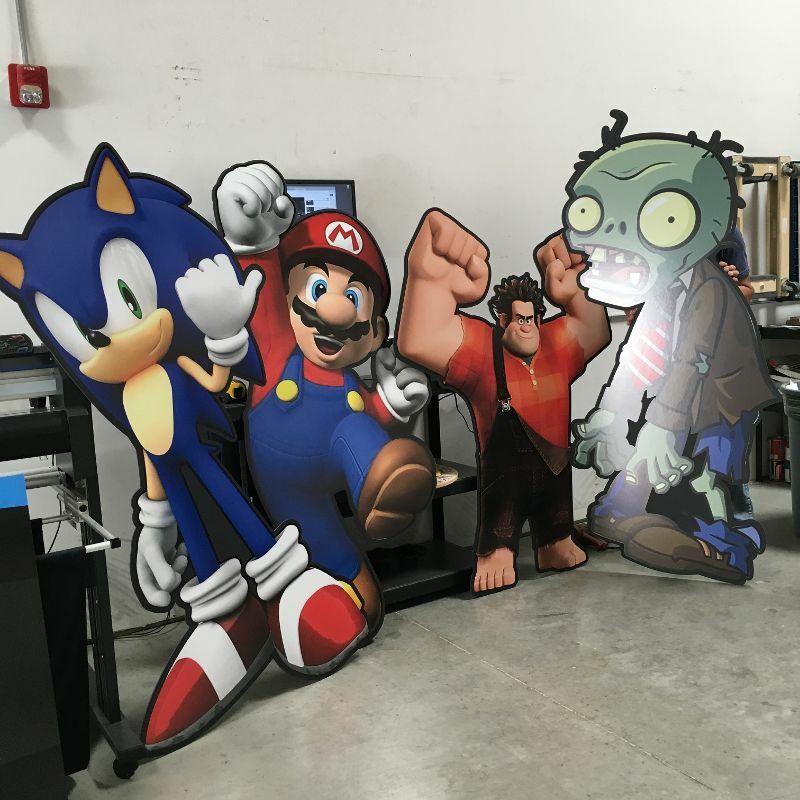 The faces and bodies were printed in our shop and applied to the CNC routed standees. 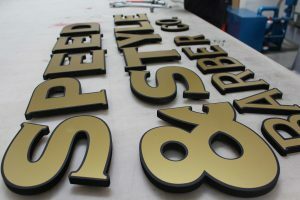 Graphics MFG started in the entertainment industry doing signs, graphics and props. 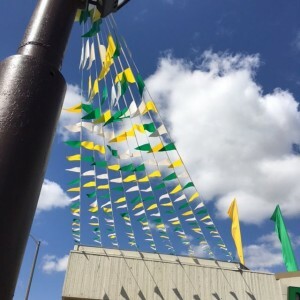 We have the resources and experience to make dreams into reality when it comes to set design, production and event staging. Graphics MFG has been busy installing various marketing and promotional advertisement items for Family Dollars and Dollar Trees across Southern California! 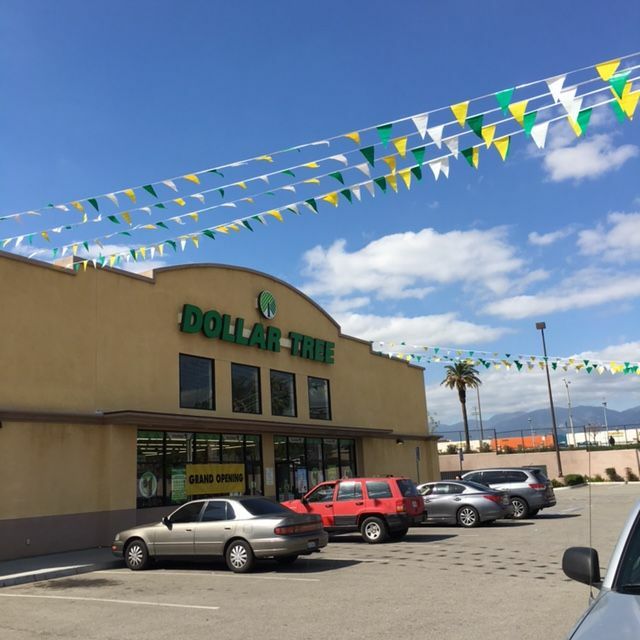 Banners, Pennant Flags, Roof and Landscape Sails gallore… who could ask for more?! 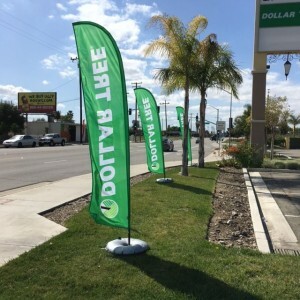 What better way to grab your customers attention with colorful waiving flags that announce your Grand Opening. Graphics MFG takes the time to ensure the placement of your promotional items match your vision. We offer installation of the marketing materials as well as removal. 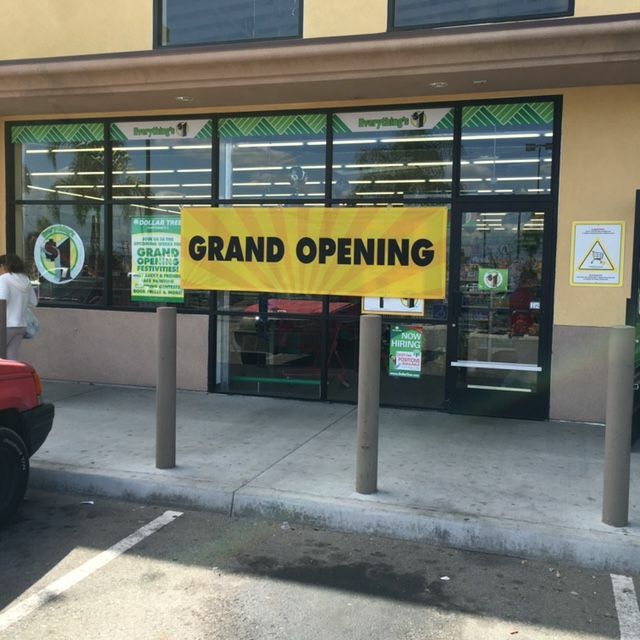 Graphics MFG would like to make your Grand Opening or Special Event stand out from the rest and be the BEST! We aren’t medical doctors but we like to think of ourselves as sign doctors. 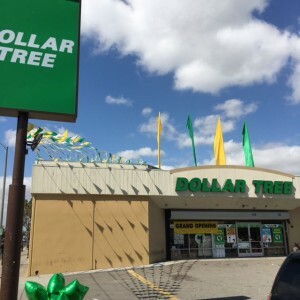 Depending on what type of sign is needed we asses and evaluate our clients needs. Graphics MFG had the pleasure of doing illuminated channel letters for Victor Valley Women’s Center in Victorville, CA. 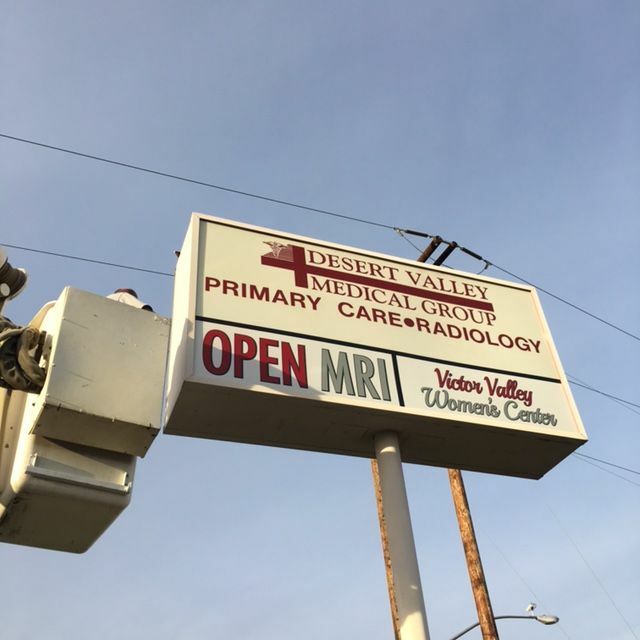 Graphics MFG also designed and installed the bottom portion of their marquee sign for the OPEN MRI/Victor Valley Women’s Center. 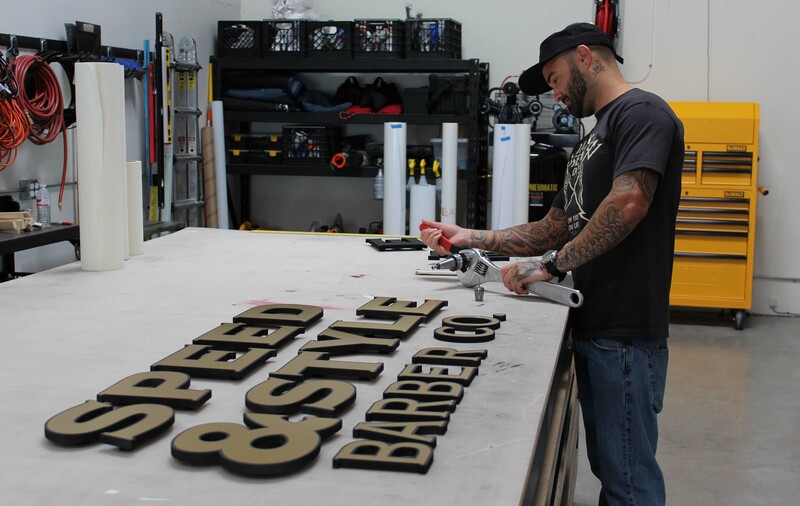 The channel letters were cut and routed on our CNC Router. The black return’s were made to fit like a glove around each letter. 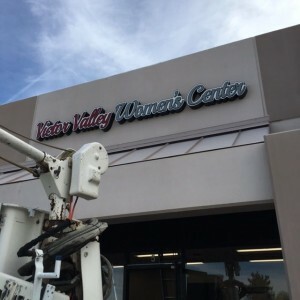 Once the channel letters were perfected we were eager to install the illuminated channel letters on the building, but before we could install we painted the wall so it would have a clean backdrop for the signs. 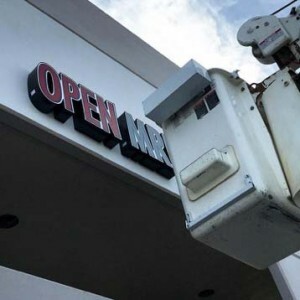 Whether you have front lit, open face, reverse or halo channel letters, Graphics MFG is the one stop sign shop! 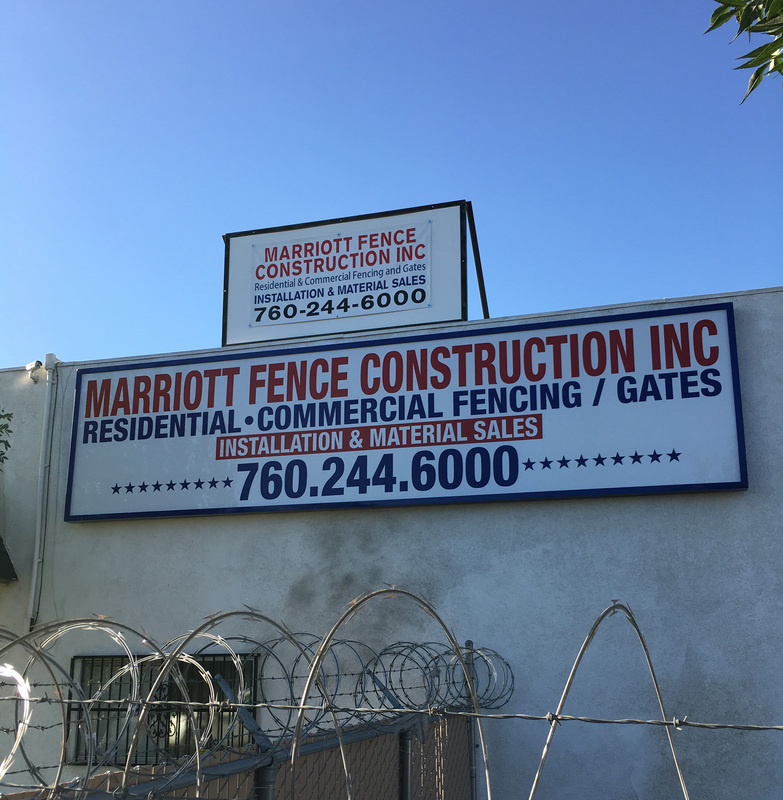 We make the sign permit package for your company and we handle the process from start to finish. 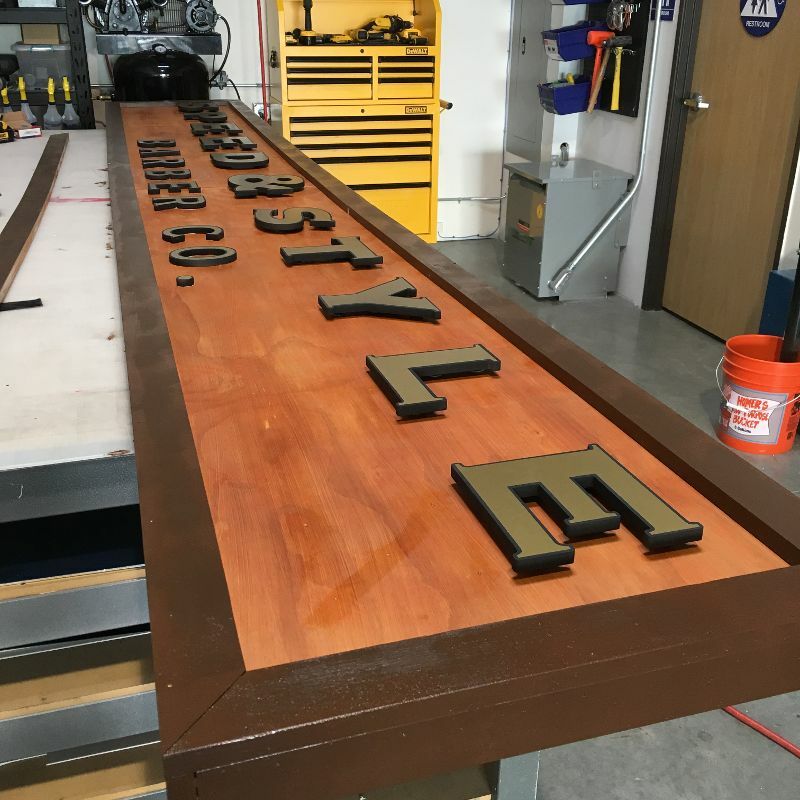 These type of projects can be overwhelming for our clients and Graphics MFG makes this an effortless sign experience for all of our customers. 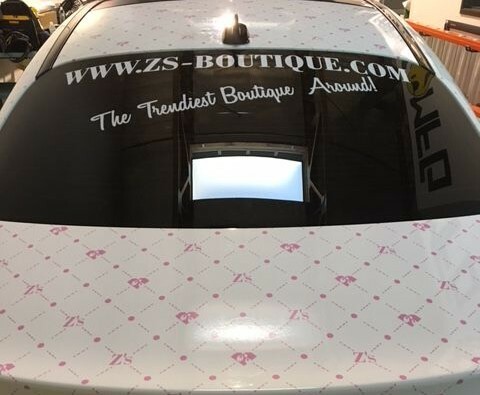 Fashion is a state of mind and Z’s Boutique knew what they had in mind when it came to wrapping their car. 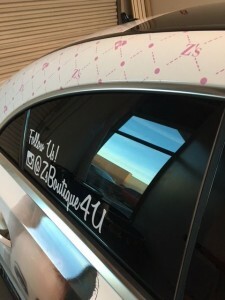 Our client wanted her own “Gucci” inspired pattern and design so Graphics MFG created just that. 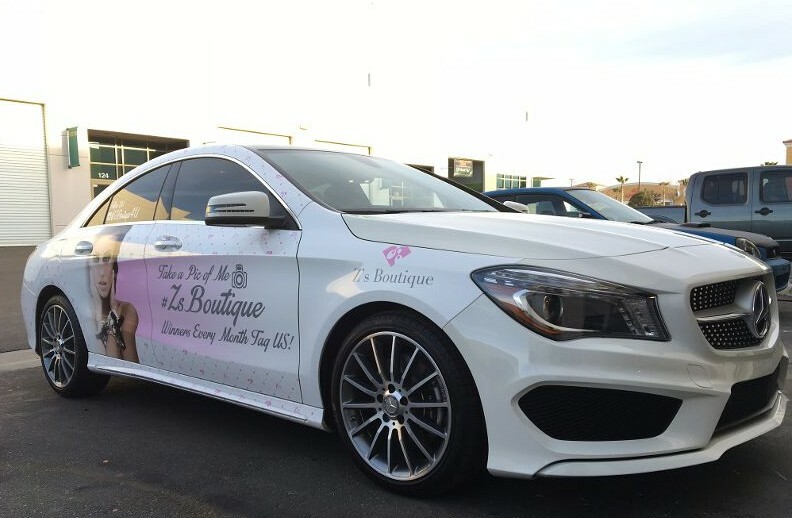 This custom design had no detail spared for the beautiful Mercedes Benz. 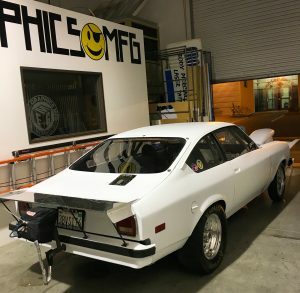 Once the design for the vehicle wrap was approved it was printed on vehicle grade vinyl that is durable for all weather conditions and road travel. The vinyl vehicle wrap was installed at Graphic’s MFG commercial building location in the Ridgecrest Business Park in Victorville, CA. 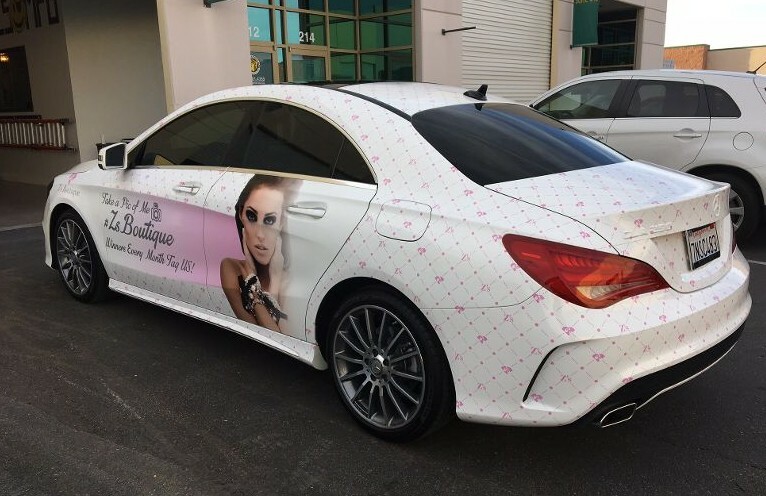 The client was able to pick up their Benz the same day. Z’s Boutique shouldn’t have any problem with getting her business noticed in her newly wrapped Mercedes Benz! Graphics MFG can create custom designs for your business advertisement and wrap your company vehicles. 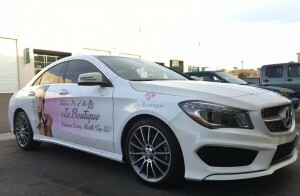 Vehicle Wrap Advertising is an easy and non-contract way to advertise your business on a daily basis! 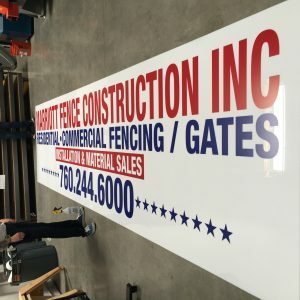 Call us at Graphics MFG for a solution on your business advertising. 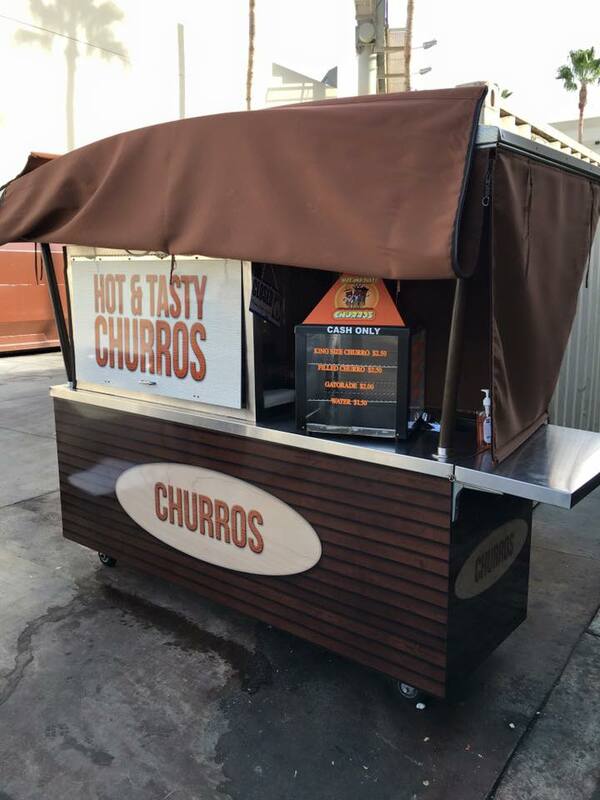 Who doesn’t love a good food cart? 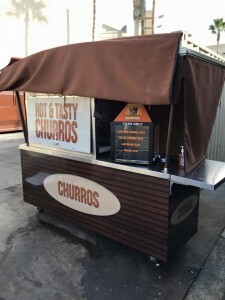 Churros, Italian Ice, Respados, Kettle Corn… the list goes on! 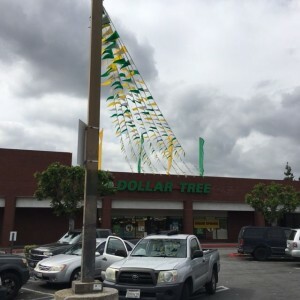 The Outlets at Orange (formerly known as The Block) needed a way to unify all their food cart vendors and give them an Orange County look that vibes with their existing outdoor shopping mall. 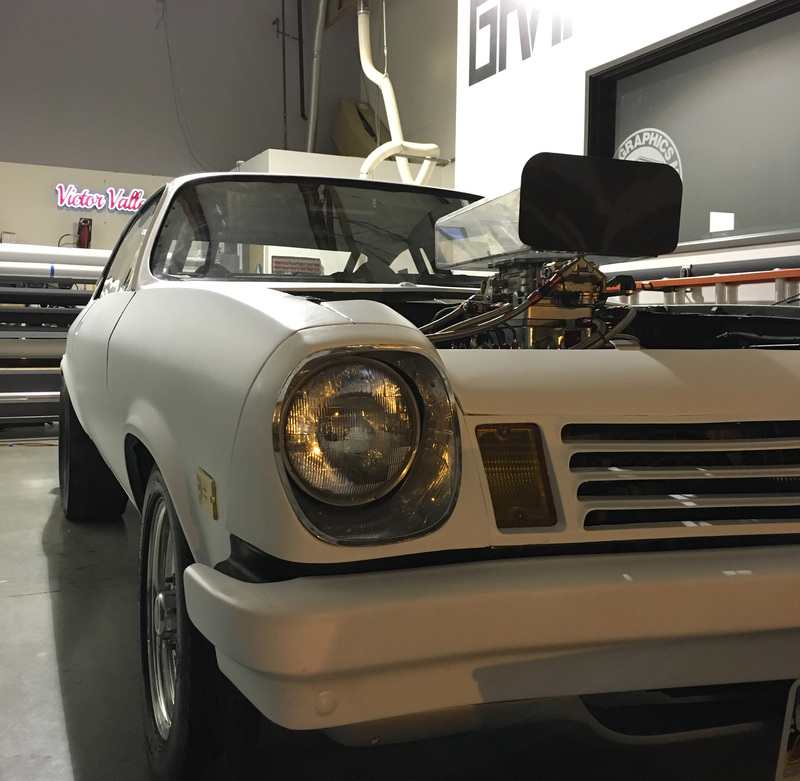 Graphics MFG knew just what to do with the carts in order to make this effortless for our clients. Graphics MFG designed the layout to be approved by Simon Property Management. 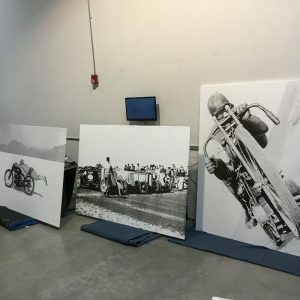 Printing of the graphics were ready to go with a quick turn around time. 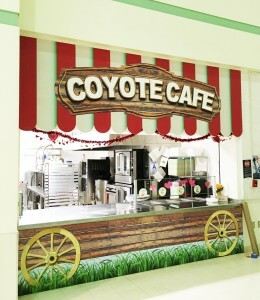 Graphics MFG followed up and coordinated the installation times with the assortment of food vendors. 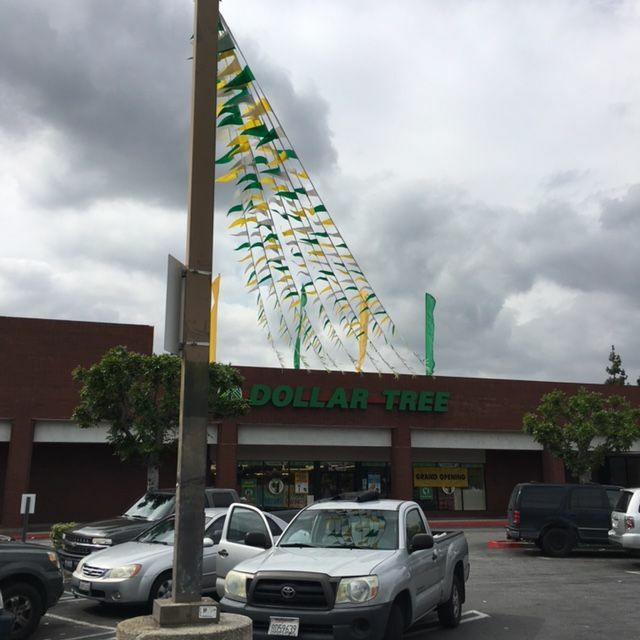 The vendors, mall management and the property management company were all pleased with the vinyl cart wraps. 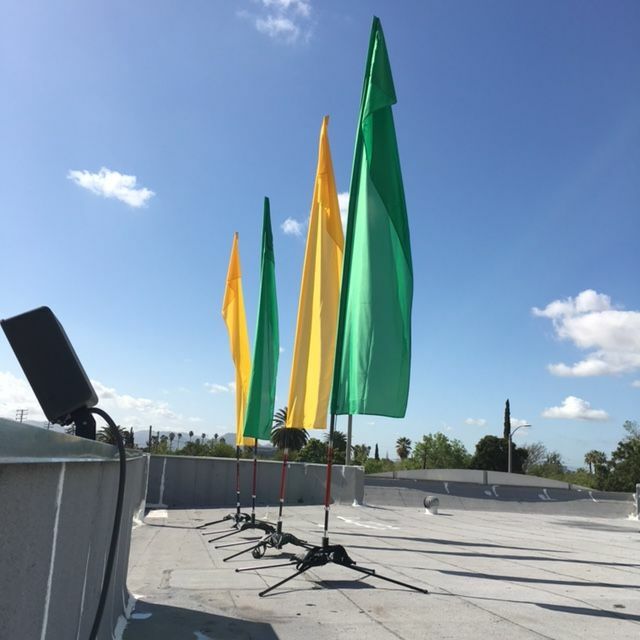 Helping our clients coordinate a large project that consist of multiple vendors is always a service we enjoy being a part of. Large projects like this can be overwhelming and that is where Graphics MFG industry knowledge in signage and graphics, best services our clients. 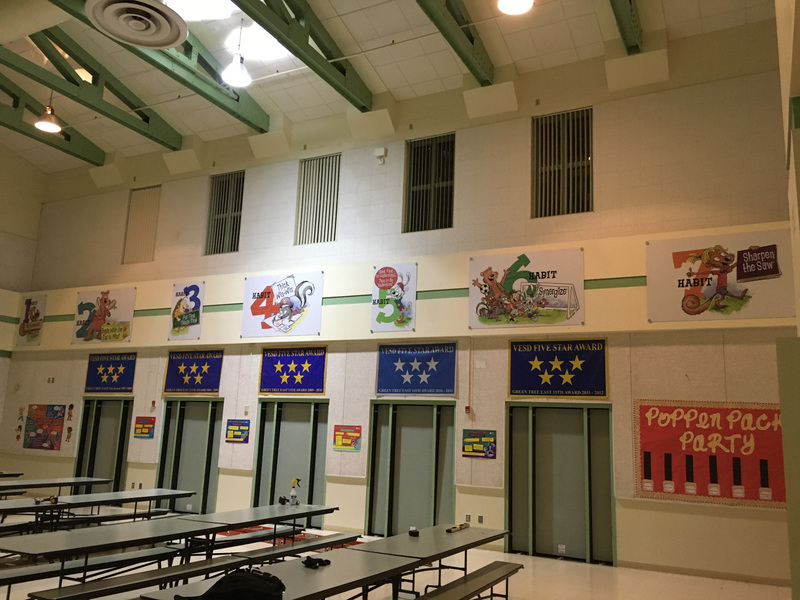 Creating an environment with signage that kids and adults can take pride in was definitely the fun part about the job given to us by Greentree East Elementary School in Victorville, CA. The principal wanted to bring an exciting look to the cafeteria, while still incorporating, “The 7 Habits” by author Steven Covey. 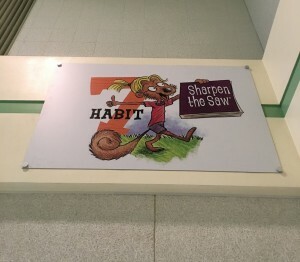 Graphics MFG decided to make each of the 7 habits into its own sign. 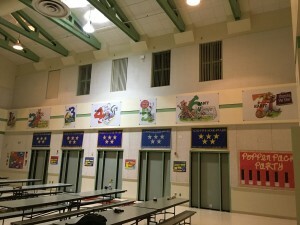 Each sign was mounted to a sign substrate and then installed on the cafeteria wall using stand offs. 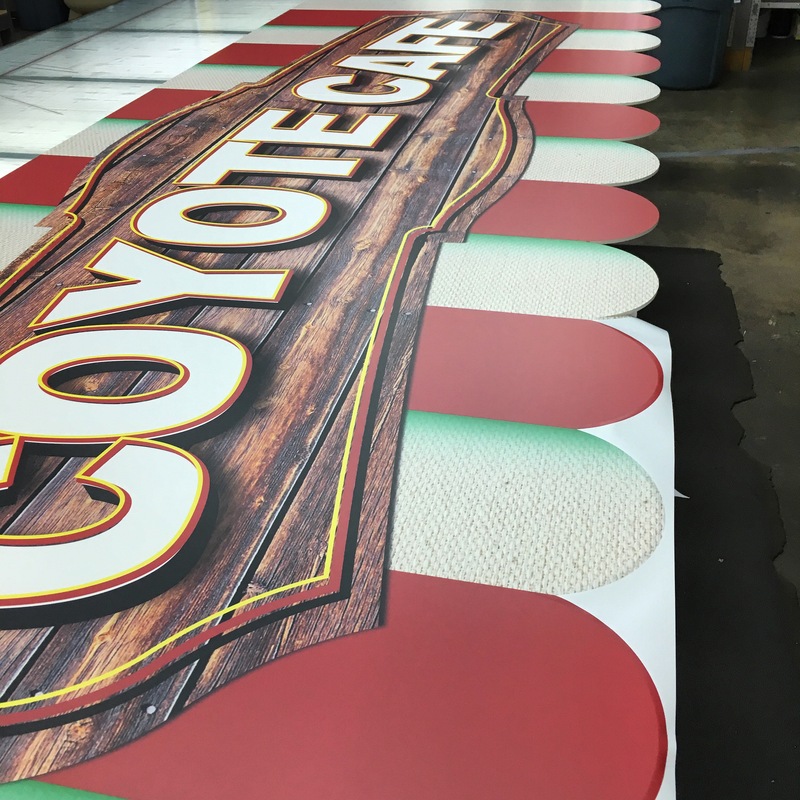 The hot lunch line also needed re-vamping so we created the “Coyote Cafe.” This was designed, printed and installed by Graphics MFG. 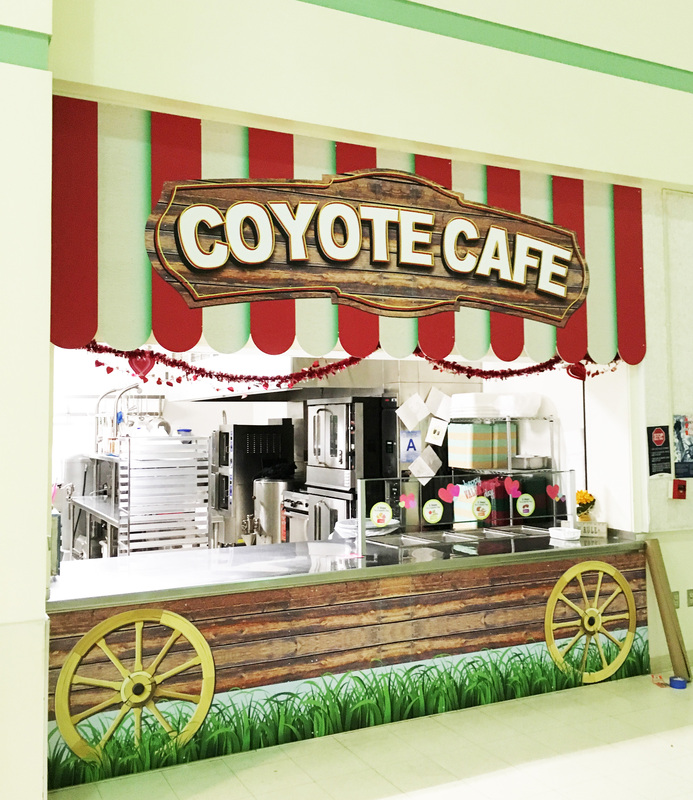 We were extremely pleased to hear that the staff and students were enthusiastic about the updates made to their school cafeteria. Graphics MFG is experienced in school branding, re-branding, marketing and signage. If you are looking to bring back pride to your school campus give us a call at 760.261.4358 for a quote!